We are known as one of the reputed producers and suppliers of highly efficient Tachometers Instrument. Our range of tachometers is manufactured from high quality galvanized steel and the accuracy of these devices is tested on different scales as per industry standard parameters which makes them accuracy in their measurement. Our company holds vast experience in this domain and is involved in offering Multi Cutting Stone With Auto Gauging. We also manufacture specially designed “Automated Gauging Systems (Computerized Gauging Systems) for easy analysis and inspection purpose. We offer By Pass Level Gauges in various sizes for various applications specification & quality of instruments are as per international standards. We can supply instruments as per customer specification also. 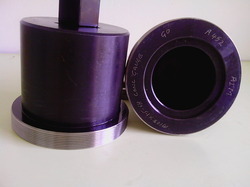 Suitable For: MASSEY FERGUSON, DEUTZ, FORD, JOHN DEERE, URSUS, ZETOR. Note:Products can be developed according to customer specifications with samples and/or drawings. 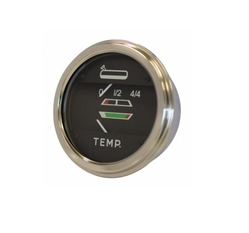 We manufacture & offer a variety of Automotive Gauges. These are widely appreciated by our clients for its hassle free performance. We offer our range of Gauges at market leading prices.